UFC President Dana White plans on bringing some exciting fights to the octagon with or without lightweight champion Conor McGregor. In an interview with Yahoo! 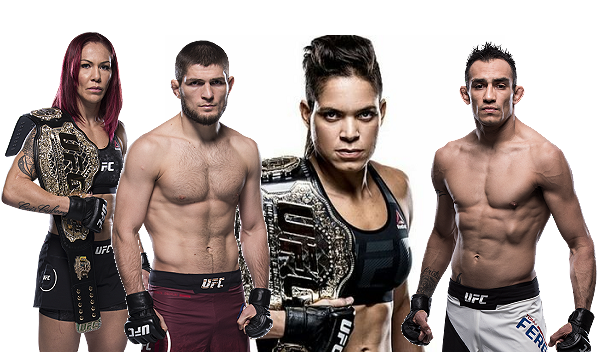 Sports‘ Kevin Iole, the UFC executive shared some big title plans for 2018. The biggest fight up White’s sleeve appears to be a superfight between women’s featherweight champion Cris Cyborg and women’s bantamweight champion Amanda Nunes. The other big fight that White is looking at is interim lightweight champion Tony Ferguson taking on the top-ranked and undefeated Khabib Nurmagomedov. White did not give any further details as to when either fight would happen and or at which UFC event. Stay tuned for more information.